On Corvette Classifieds a picture is worth a thousand words but imagine what a video could do! With a video, the whole world is able to see your car. You will have Corvette buyers at your fingertips. It would be like broadcasting your own commercial just to Corvette buyers. If you would like to take advantage of this great service and post a video of your car contact us with the form at the bottom of this page for details. 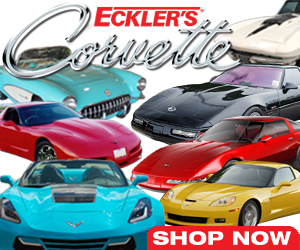 We will help you make it easy to reach Hundreds of thousands of potential Corvette buyers! Just think of all the advantages! The buyer can see the car up close, hear it run, see tire tread, miles, even the car driving. Imagine all the things people can be concerned about! We felt if we had to buy a car that was more then an hours drive we would want to virtually test drive it first! Over the years Ebay has established itself as the market place for used cars. 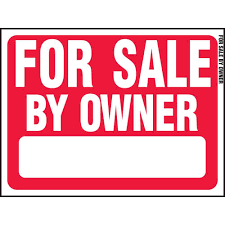 Most of the internet is dominated by large car dealers saturating the used car market and squeezing out the smaller individual sellers. We personally like to purchase our cars from private individuals. Ebay is one of the last places where a seller can meet a buyer and stay safe during the transaction. Also you can search and sort vehicles with any options you want. For those reasons we highly recommend an Ebay search of used Corvettes. If you want to post free AD's Do So on the Form Below! Disclaimer: Corvette-web-central.com does not guarantee or warrant the condition of any items sold here on this site. All disagreements are solely the responsibilities of the party's buying and selling items. NO illegal activity will be tolerated and we will remove any post that appears to be such and report offending post to the authorities. Use this Form to Post Corvette, Parts and Classifieds Postings! Have A Vette or Parts for Sale? List it here for free with a picture if you like. Please enter year, Posting date, options, color, miles, car location, phone number or email, and condition. 68 Corvette matching #s L-79 roadster PROJECT for sale! Looking for a 1972 LT1 Corvette hood. Any for sale please let me know. '87 Corvette Convertible Rare Color Combo Almost 100% Original and COMPLETELY un-molested! TRADES CONSIDERED!